A freak helicopter crash in Mexico killed 13 people Friday after they sought safety in a field following a 7.2 earthquake. The Associated Press reports a military helicopter surveying the damage from the earthquake crashed into a field of people who set up camp to avoid being inside should the shaking restart. Overall 13 people were killed on site and 15 were injured. Interior Secretary Alfonso Navarrete and Oaxaca Gov. Alejandro Murat were among those riding in the helicopter but they were reported as only sustaining minor injuries. According to information from the Oaxaca state prosecutor’s office, numbering among those killed are five women, four men, and three children. 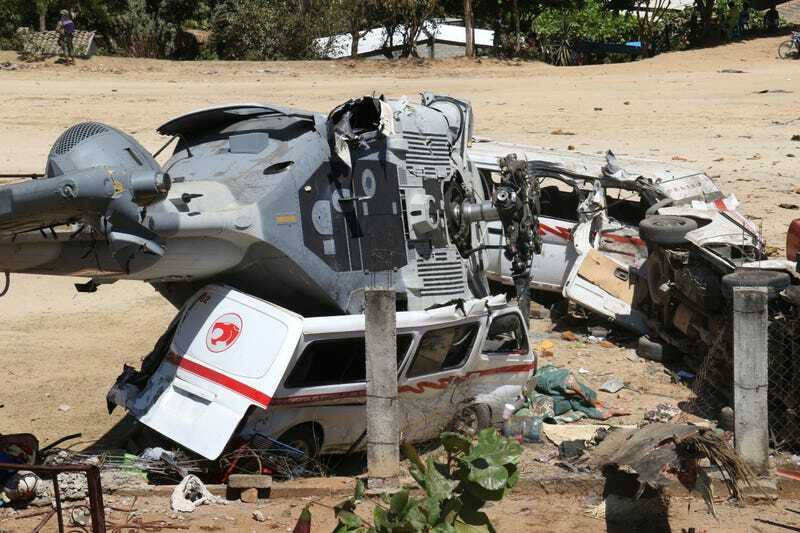 As of now, we do not know why the helicopter crashed.